Despite being one of the most potent tools for The Global Associates Lead Generation Companies, cold calling is a much maligned art. While most sales persons of lead generation companies dread making them, almost every decision maker hates getting disturbed by these unsolicited calls. Approaching decision makers is always the first step in the business of lead generation, the process starting mostly with a cold call. Today’s decision makers have a premium on their time, so it’s imperative to employ more effective cold calling techniques to make them see your point of view. A cold call is always quite impersonal to begin with, a fact that makes it so unpopular. You cannot hope to be welcomed with open arms by a complete stranger when you call to sell your product or service. These decision makers don’t know you or your area of expertise, and of course they have a lot on their minds; they are likely to see the call as an intrusion that is wasting their precious time. 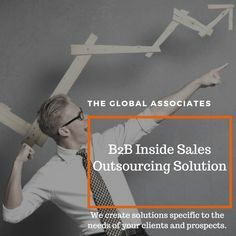 Lead generation companies should strive to make these calls sound friendlier and warmer in order to be listened to by these prospects. Following are a few tips to accomplish this task. Don’t be in a hurry to close the deal within the first few seconds of your call, remember, the prospect doesn’t even know you yet. Try to build trust to begin with. If you can convey your good intentions, you will get a chance to take the process forward. Don’t try employing hard-sell tactics right away, let them know and trust you a little first. You must create enough interest for them to hear you through and agree for another session with you. You may be a sales person, but this is all about the customer, not about your products/ services. You should focus on their best interests; empathize with them and identify their needs and pain points. This will help you prepare customized solutions for them. Don’t be in a hurry, give them time to think about your proposal. Keep sending useful literature in the meantime. Always make it about them, not about your company. Never fail to keep your word. This is the only way to build trust and develop a long-lasting business relationship. Never ever miss any appointments or make excuses for not presenting your solutions when you promised. Act as a problem solver and keep sending the information they need. It’s imperative for lead generation companies to take the chill off cold calls to ensure a better communication with the decision maker. Making the calls friendlier will help you build trust and take the sales process forward without any problems.